Come and join in the fun at The Uckfield Club with cheaper drinks than most pubs, lots of facilities and events including Live Bands, Disco`s, Snooker, Billiards, Darts, Petanque, Bingo, Line Dancing and Zumba, We also benefit from a garden with outside seating, Summer Barbecues, and more !!! 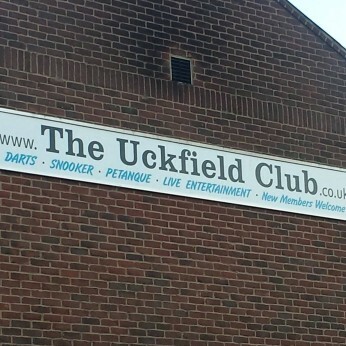 We're really sorry but we don’t seem to have any offers or events for Uckfield Club. We're sure there must be something happening here but they just haven't told us about it! Please do mention this to Uckfield Club when you next visit them.